This week I will be featuring Angie from over at My Little Science Experiment. 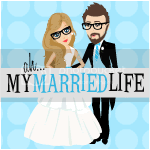 I found Angie's blog only a few weeks ago, but have really enjoyed reading it thus far. I'm not exactly sure how I found her blog or if she first found mine, but I can tell you that I am definitely following her now. Right now Angie is at the end of her 2ww from her first IVF cycle. She will be going in for her beta today and needs all the support she can get. Hop over to My Little Science Experiment and wish Angie and her husband a lot of luck today, and while you're there you might as well become a follower too. I mean who wouldn't love a BFP and a bunch of new followers in the same day? GOOD LUCK ANGIE!! I have my fingers crossed for you today! Hello! Hello! 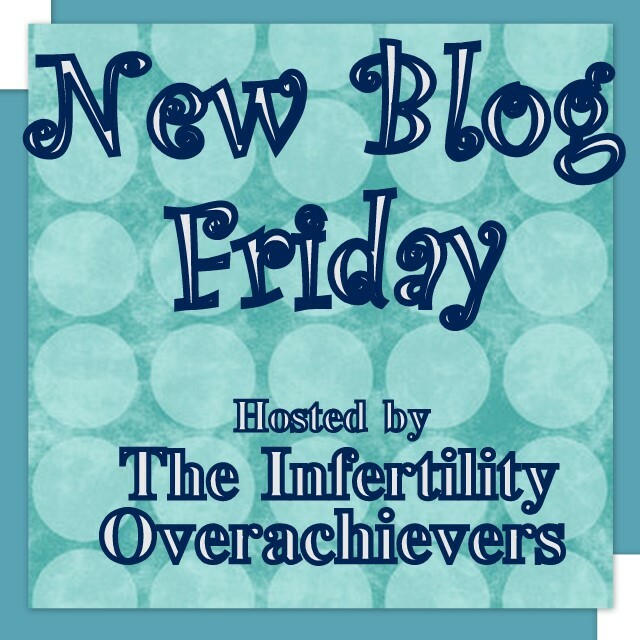 My name is Angie and right now I feel very blessed to be part of New Blog Friday with Aly. This couldn't have come at a better time. My husband, Tim, and I are both 29 years old and have been on this TTC journey since April 2008! I never ever could have seen myself as a blogger, it's just not me...I'm not a writer. So initially I started My Little Science Experiment as a little secret that no one knew about. I was being poked and prodded and tested for a million things and this was the place where I could get thoughts and feelings out of my head so that I didn't drive myself, and my husband, crazy. Then I branched out and told some immediate family members about it. That way I wouldn't need to rehash how far (or not) we were in this process everytime we would chat. Then another blogger found me since we live in the same town and go to the SAME Doctor! It was through her that I realized how powerful and supportive the IF blog community can be. 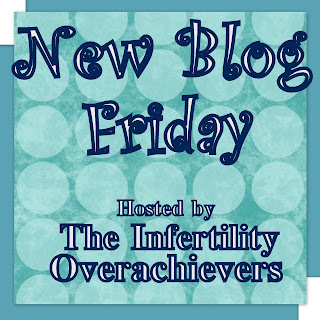 And now here we are on New Blog Friday, which coincidentally is a HUGE Friday for us. For the past two weeks we've been praying for our two little embabies to stick, to see if we had a successful first IVF try, to see what the next step on our journey would be. And our first Beta test is TODAY! In case you missed all of the other links to her page...CLICK HERE to go check out Angie @ My Little Science Experiment. What a great idea and a wonderful way to meet new blogs! I just added her on to my successful blogroll! Oh and I added your button too! 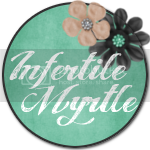 You know there's not many of us out there that I have seen that is going through (or has gone through) both primary and secondary infertility. I'm so glad to have found you and support you on your journey! I love this idea Aly! Here is a girl I know would love to be featured! By the way I love the new house! It is beautiful! The dude shoots with a Canon - great choice! I added your button to my page! New reader here! Wishing you LOOOTS of luck! !